Is Bala House Montessori Right for You? 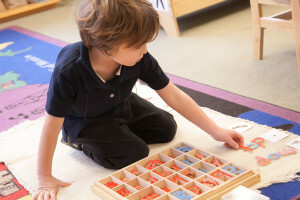 The Montessori philosophy is beneficial for almost any preschool and kindergarten student. However, it is not always a fit with parents’ values, beliefs, and expectations. Partnerships between parents and a school work best when the school and home reinforce each other. At Bala House, the Montessori approach to education is flexible and based on the needs of each child as he or she grows for three years in a mixed age classroom under the guidance of the same teachers. The Montessori principles can be extended at home by integrating habits established in the classroom. Look at our Belief Statements and ask yourself if these statements match your own beliefs about what a preschool and kindergarten experience should foster. Review the chart that compares Montessori with Traditional Education. Since most parents were educated in traditional classrooms and schools, parents who choose to send their child to a Montessori school must be willing to learn along with the child. Montessori offers a broad vision of education as an aid to life, drawing its principles from the natural development of the child. If our belief statements match your own and you are intrigued by the unique Montessori environment, then there is a good chance that Bala House Montessori will meet your child’s needs and your expectations. Alignment with your values and beliefs should be a priority factor in selecting a school for your child.